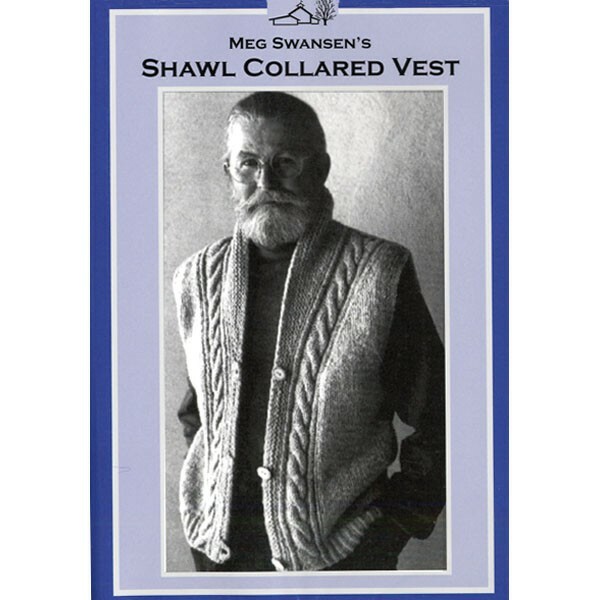 A comfortable, attractive, versatile vest, suitable for men or women, which is great over a blouse, shirt or turtleneck. It can also provide an extra layer over a sweatshirt or jacket. Knitted completely in the round and then cut open. Join master knitter Meg Swansen and learn: casting on, twisted rib, backward loop increase, L and R cable (with and without a cable needle), cable trick, steeks, EZ's Phoney Seams and I-Cord Tab buttonholes, V-Neck shaping, Finishing a Cut Edge, and more. 60 minutes. DVD.